PALATIAL PENTHOUSE - 6 bedrooms, 5 1/2 baths and private office, being sold beautifully furnished with impressive double door entrance. NEW STORM SHUTTER ON FRONT ENTRANCE DOUBLE DOORS. Florencia is a destination resort providing activities for everyone. EXCEPTIONAL covered parking spaces: Two (2) covered parking spaces under the building and one (1) large storage room. Unparalleled amenities including heated indoor pool, outdoor pool, exercise gym, tennis court, sauna & steam room, owner&apos;s lounge, docks, storage for kayaks, beautiful landscaped grounds for enjoyment, bike trail just outside gated entrance leading to golf course, restaurant and Holiday Marina. Panoramic views, access to Ole River, spacious balcony with beach access just short walk. Featuring 2 bedrooms & 2 1/2 baths split floor plan to provide utmost privacy for guest. Open concept living room, dining and kitchen for entertaining. 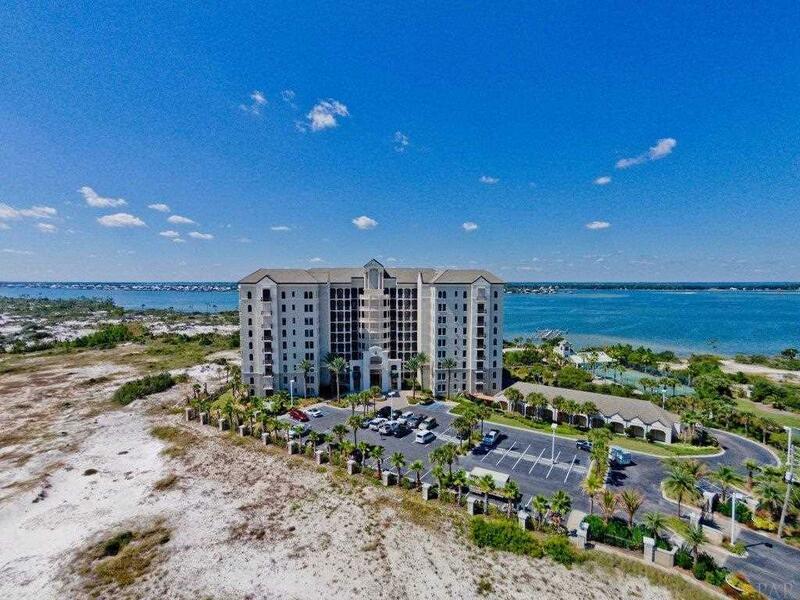 Premiere location on Perdido Key for the discriminating island enthusiast offering the best-of-both-worlds combining Ole&apos; River and Beach access.